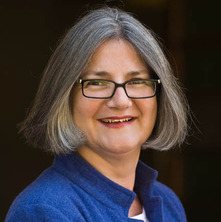 Dr Dolly MacKinnon is an Associate Professor in Early Modern History at The University of Queensland. Her research background spans history and music, and her cultural history research, teaching, and service concentrate on the marginalized and institutionalized by analysing the mental, physical (including material culture) and auditory landscapes of past cultures. Dolly won the inaugural Arts Faculty Research Excellence Award for Senior Researchers (2011) at The University of Queensland. Dolly was also awarded a UQ New Staff Research Fund (2011), a University of Queensland Promoting Women Fellowship (2014), and an inaugural Faculty Fellowship at the Institute of Advanced Studies in the Humanities (2015), Faculty of HASS, UQ. Dolly's international research is demonstrated by her consistent collaborative grant successes including multiple ARC (both Linkage and Discoveries) projects, and an international Marsden Fund-Royal Society of New Zealand, totaling just under 1 million dollars. ARC Discovery Grant ($249,000) with Professor ELizabeth Malcolm (The University of Melbourne) and Dr John Waller (Michigan State University). ARC Linkage Grant ($149,000) with Professor ELizabeth Malcolm & Dr Nurin Veis (Museum Victoria) (2009-2012) at The University of Melbourne. ARC Discovery Grant ($300,000) with Megan Casidy-Welch (Monash University) analysing 'Battlefields of memory: places of war and remembrance in medieval and early modern England and Scotland' (2014-2016). Dolly has written and co-edited five books, over thirty chapters and journal articles, and has edited two Special Journal Issues. Her monograph is entitled Earls Colne's Early Modern Landscapes (Farnham, Surrey:Asghate, 2014). She has co-edited Madness in Australia: Histories, Heritage and the Asylum (St. Lucia: UQP, 2003) and Exhibiting Madness: Exhibiting Madness: Remembering Psychiatry through Collections and Display (New York: Routledge, 2011) both with Professor Catherine Coleborne, and Hearing Places: Sound, Place, Time and Culture [Paperback 2007 and hardback 2009 editions] (2007; Newcastle, UK: Cambridge Scholars Press, 2009), co- edited with Dr Ros Bandt and Dr Michelle Duffy, and containing a CD of Sound Examples. MacKinnon, Dolly (2020). 'From 'shameless' and 'worldly songs' to a vocal tribute' to 'Sing their Praises': the contested soundscapes of early modern poor children'. In Stephanie Tarbin and Philippa Madden (Ed. ), Material worlds of childhood in North-western Europe c.1350-1800 (pp. 1-21) London, United Kingdom: Taylor & Francis Group. MacKinnon, Dolly (2019). 'This humble monument of guiltless Blood': the emotional landscape of Covenanter monuments. In Stephanie Downes, Andrew Lynch and Katrina O'Loughlin (Ed. ), Writing war in Britain and France, 1370-1854: a history of emotions (pp. 163-181) Abingdon, Oxon, United Kingdom: Routledge. MacKinnon, Dolly Earls Colne's early modern landscapes. Burlington, VT, United States: Ashgate, 2014. Exhibiting madness in museums: Remembering psychiatry through collections and display. Edited by Dolly MacKinnon and Catharine Coleborne New York, United States: Routledge, 2011. Hearing Places: Sound, Time and Culture. Edited by Ros Bandt, Michelle Duffy and Dolly MacKinnon Newcastle UK: Cambridge Scholar's Publishing, 2007. Madness in Australia : histories, heritage and the asylum. Edited by Dolly MacKinnon and Catherine Coleborne St Lucia, QLD, Australia: The University of Queensland Press, 2003. MacKinnon, Dolly (2019). Emotional Landscapes: Battlefield Memorials to seventeenth-century Civil War conflicts in England and Scotland. In Jean, Christoph, Maddrell, Avril and Venbrux, Eric (Ed. ), Consolationscapes in the Face of Loss: Grief and Consolation in Space and Time First ed. (pp. 92-109) Abingdon, Oxon and New York: Routledge. MacKinnon, Dolly (2016). 'The Ceremony of Tolling the Bell at the Time of Death': bell-ringing and mourning in England c.1500-c1700. In Jane W. Davidson and Sandra Garrido (Ed. ), Music and Mourning: interdisciplinary perspectives (pp. 31-39) Abingdon, Oxon, UK: Ashgate Publishing. MacKinnon, Dolly (2015). "Ringing of the Bells by Four White Spirits": two seventeenth-century English earwitness accounts of the supernatural in print culture. In Jennifer Spinks and Dagmar Eichberger (Ed. ), Religion, the supernatural and visual culture in early modern Europe: an album amicorum for Charles Zika (pp. 83-102) Leiden, Netherlands: Brill. MacKinnon, Dolly (2015). Hearing the poor: experiencing the sounds of charity in early modern England. In Anne M. Scott (Ed. ), Experiences of charity, 1250-1650 (pp. 239-256) Farnham, Surrey, England: Ashgate. MacKinnon, Dolly (2015). Slave children: Scotland's children as chattels at home and abroad in the eighteenth century. In Janay Nugent and Elizabeth Ewan (Ed. ), Children and youth in premodern Scotland (pp. 120-135) Woodbridge, Suffolk, United Kingdom: Boydell Press. MacKinnon, Dolly (2014). 'Echoes of life if you lived in the world': soundscapes and museums for the institutionalised. In Paul Ashton and Jacqueline Z. Wilson (Ed. ), Silent system: forgotten Australians and the institutionalisation of women and children (pp. 163-176) Melbourne, Australia: Australian Scholarly Publishing. MacKinnon, Dolly (2011). Bodies of evidence: dissecting madness in colonial Victoria (Australia). In Sarah Ferber and Sally Wilde (Ed. ), The body divided: human beings and human 'materials' in modern medical history (pp. 75-107) Farnham, Surrey, United Kingdom: Ashgate. MacKinnon, Dolly and Coleborne, Catharine (2011). Seeing and not seeing psychiatry. In Catharine Coleborne and Dolly MacKinnon (Ed. ), Exhibiting Madness in Museums: Remembering Psychiatry through Collections and Display (pp. 3-13) New York, NY, United States: Routledge. MacKinnon, Dolly (2011). Snatches of music, flickering images and the smell of leather: The material culture of recreational pastimes in psychiatric collections in Scotland and Australia. In Catharine Coleborne and Dolly MacKinnon (Ed. ), Exhibiting Madness in Museums: Remembering Psychiatry through Collections and Display (pp. 84-100) New York, NY, United States: Routledge. MacKinnon, Dolly (2009). ‘Amusements are provided’: Asylum entertainment and recreation in Australia and New Zealand c.1860-c.1945’. In Graham Mooney and Jonathan Reinarz (Ed. ), Permeable Walls: Historical Perspectives on Hospital and Asylum Visiting 1 st ed. (pp. 267-288) London, UK; Amsterdam; New York: Rodopi;Wellcome Trust. MacKinnon, Dolly (2008). Charitable bodies : Clothing as charity in early-modern rural England. In Megan Cassidy-Welch and Peter Sherlock (Ed. ), Practices of gender in late medieval and early modern Europe (pp. 235-259) Turnhout, Belgium: Brepols Publishers. MacKinnon, Dolly (2008). Charity is worth it when it looks that good: Rural women and bequests of clothing in early modern England. In Stephanie Tarbin and Susan Broomhall (Ed. ), Women, Identities and Communities in Early Modern Europe ist ed. (pp. 79-93) Aldershot, England; Burlington, VT, USA: Ashgate. MacKinnon, Dolly (2008). ‘I have now a book of songs of her writing’: Scottish families, orality, literacy, and the transmission of musical culture c1500-c1800’. In Elizabeth Ewan and Janay Nugent (Ed. ), Finding the family in medieval and early modern Scotland (pp. 35-48) Aldershot, England; Burlington, VT, USA: Ashgate. Nichols, David, MacKinnon, Dolly and Reeves, Keir (2007). Goldfields asylums: Anxieties, evasions and erasures. In Keir James Reeves and David Nichols (Ed. ), Deeper leads : new approaches to Victorian goldfields history (pp. 39-62) Ballarat, Vic., Australia: Ballarat Heritage Services. MacKinnon, Dolly (2007). Hearing the English reformation: Earls Colne, Essex. In Ros Band, Michelle Duffy and Dolly MacKinnon (Ed. ), Hearing places: Sound, place, time and culture (pp. 255-267) Newcastle, UK: Cambridge Scholars Publishing. Bandt, Ros, Duffy, Michelle and MacKinnon, Dolly (2007). Introduction. In Ros Band, Michelle Duffy and Dolly MacKinnon (Ed. ), Hearing places: Sound, place, time and culture 1st ed. (pp. 1-2) Newcastle, UK: Cambridge Scholars Publishing. MacKinnon, Dolly (2003). 'Hearing madness': The soundscape of the asylum. In Catharine Coleborne and Dolly MacKinnon (Ed. ), 'Madness' in Australia: Histories, heritage and the asylum (pp. 73-82) St Lucia, QLD, Australia: The University of Queensland Press. MacKinnon, Dolly (2003). 'Jolly and fond of singing': The gendered nature of musical entertainment in Queensland mental institutions c1870-c1937. In Catharine Coleborne and Dolly MacKinnon (Ed. ), 'Madness' in Australia: Histories, heritage and the aslyum. (pp. 157-168) St Lucia, QLD, Australia: The University of Queensland Press. Coleborne, Catharine and MacKinnon, Dolly (2003). 'Madness' in Australia: Histories, heritage and the asylum. In Catharine Coleborne and Dolly MacKinnon (Ed. ), 'Madness' in Australia: Histories, heritage and the asylum (pp. 1-8) St Lucia, QLD, Australia: The University of Queensland Press. MacKinnon, Dolly (2003). Diaries, history of. In David Loades (Ed. ), Reader's guide to British history (pp. 356-358) London, United Kingdom: Routledge. Mackinnon, Dolly (2003). Music: 16th and 17th centuries. In David Loades (Ed. ), Reader's guide to British history (pp. 924-925) London, United Kingdom: Routledge. Mackinnon, Dolly (2003). Music: instrumental and operatic, after 1660. In David Loades (Ed. ), Reader's guide to British history (pp. 919-921) London, United Kingdom: Routledge. MacKinnon, Dolly (2003). Music: plainsong and polyphony. In Reader's guide to British history (pp. 921-922) London, United Kingdom: Routledge. Mackinnon, Dolly (2003). The godly family of the seventeenth century and John Howard’s Australia. In Delys Bird, Wendy Were and Terri-ann White (Ed. ), Future imaginings: sexualities and genders in the new millennium (pp. 101-116) Crawley, WA, Australia: University of Western Australia Press. MacKinnon, Dolly (2018) Hearing women as mad in the asylum: past perceptions haunting the present. http://www.auswhn.org.au/, Blog of the Australian Women's History Network. MacKinnon, Dolly (2017) Anne Boleyn’s head. Australian Broadcasting Corporation, ABC Nightlife Radio. MacKinnon, Dolly (2017) Oliver Cromwell’s Head. Australian Broadcasting Corporation, Nightlife Radio. MacKinnon, Dolly (2017) Hearing madness and sounding cures: recovering historical soundscapes of the asylum. Politiques de communication, 2017 77-106. MacKinnon, Dolly (2015, August 08). Madness in Civilisation review: Andrew Scull's sweeping coverage and dark wit. The Age, . MacKinnon, Dolly, Poore, Emily and Helmrich, Michele (2015) Wunderkammer: the strange and the curious. St. Lucia, QLD, Australia, The University of Queensland Art Museum. Davidson, Jane and Mackinnon, Dolly (2015) Royal Consort and the History of Emotions. Pre-concert lecture and performance. Presented by ARC Centre of Excellence for the History of Emotions and Latitude 37 (early music ensemble). Melbourne Recital Centre, South Bank, Melbourne, Australia, ARC Centre for Excellence for the History of Emotions 1100-1800. Religious history: Review of Alasdair Raffe, The Culture of Controversy: Religious Arguments in Scotland, 1660-1714 (The Boydell Press, 2013). Mackinnon, Dolly (2014) Religious history: Review of Alasdair Raffe, The Culture of Controversy: Religious Arguments in Scotland, 1660-1714 (The Boydell Press, 2013).. History Scotland, 14 5: 55-55. Davison, Jane, Nicholson, Donald and MacKinnon, Dolly (2013) Venus and Adonis A Masque in two interludes written by Colley Cibber (after Ovid) and set to music by John Christopher Pepusch, London 1715 [Guest Musician in orchestra: Baroque Recorder]. UQ Art Museum, The University of Queensland, ARC Centre for Excellence for the History of Emotions 1100-1800. MacKinnon, Dolly (2012) Music and Society in Early Modern England. Parergon, 29 2: 278-279.
Review of Angela McCarthy and Catharine Coleborne (eds), Migration, Ethnicity, and Mental Health: International Perspectives, 1840-2010 (New York & London: Routledge, 2012). MacKinnon, Dolly (2012) Review of Angela McCarthy and Catharine Coleborne (eds), Migration, Ethnicity, and Mental Health: International Perspectives, 1840-2010 (New York & London: Routledge, 2012).. Australasian Journal of Irish Studies, 12 167-170. Malcolm, Elizabeth, MacKinnon, Dolly and Waller, John (2011) Australian psychiatric care: a history of psychiatric institutions and community care in Australia c.1811-c.1990. Melbourne, VIC, Australia, The School of Historical and Philosophical Studies, The University of Melbourne. MacKinnon, Dolly (2011) Medicine's Moving Pictures: Medicine, Health, and Bodies in American Film and Television. Journal of Health and History, 13 1: 120-122. MacKinnon, Dolly (2011) The making of Irish traditional music. The Australasian Journal of Irish Studies, 11 91-93. MacKinnon, Dolly (2010) Parents of poor children in England, 1580-1800. Parergon, 27 2: 212-214. MacKinnon, Dolly (2009) Divine service, music, sport, and recreation as medicinal in Australian asylums 1860s-1945. Health and History, 11 1: 128-148. MacKinnon, Dolly (2009) Music and Madness. The Australasian Journal of Irish Studies, 9 170-172. MacKinnon, Dolly (2009) Tuned Out: Traditional Music and Identity in Northern Ireland. The Australasian Journal of Irish Studies, 9 172-175. MacKinnon, Dolly (2004) Women and family business in England, Wales and the colonies c1500-1800: Constructing a model for historical analysis. Lilith, 13 117-126. MacKinnon, Dolly (2003) 'The Trustworthy Agency of the Eyes': Reading images of music and madness in historical context. Health and History: Journal of the Australian and New Zealand Society of the History of Medicine, 5 2: 123-149. MacKinnon, Dolly and Coleborne, Catharine (2003) Deinstitutionalisation in Australia and New Zealand. Health and History: Journal of the Australian and New Zealand Society of the History of Medicine, 5 2: 1-16. MacKinnon, Dolly (2001) "Poor senseless Bess clothed in her rags and folly": Early Modern Women, Madness, and Song in Seventeenth-Century England. Parergon, 18 3: 119-151. MacKinnon, Dolly (2015). 'Correcting an error in history': conflicting memories in the civil war battlefield memorials of Marston Moor and Naseby. In: Abstracts of the 10th Biennial ANZAMEMS Conference. ANZAMEMS 2015: Australian and New Zealand Association of Medieval and Early Modern Studies Tenth Biennial Conference, Brisbane, Qld, Australia, (72-72). 14-18 July, 2015. MacKinnon, Dolly (2013). "So to Naseby Field I went": early modern battlefield tourism and the English Civil Wars battle of Naseby, 14 June 1645. In: Abstracts of the 9th Biennial ANZAMEMS Conference. ANZAMEMS 2013: Australian and New Zealand Association of Medieval and Early Modern Studies Ninth Biennial Conference, Melbourne, VIC, Australia, (52-52). 12-16 February 2013. MacKinnon, Dolly (2013). 'Echoes of life if you lived in the world': soundscapes and museums for the institutionalised. In: Memory: Trace, Place, Identity. Exploring the institutionalisation of women and children in Australia, Parramatta, NSW, Australia, (). 25 -27 September 2013. MacKinnon, Dolly (2013). Emotional landscapes: battlefield memorials to seventeenth century civil war conflicts in England and Scotland. In: Fourth International and Interdisciplinary Conference on Emotional Geographies, Groningen, Netherlands, (). 1-3 July 2013. MacKinnon, Dolly (2012). In the footsteps of antiquarians: the landscape of Earls Colne, Essex. In: Landscapes & Environments: British Society for Eighteenth-Century Studies 41st Conference UK), St Hugh's College, Oxford, UK, (). 4-6 January 2012. MacKinnon, Dolly (2012). ‘Emotional Landscapes’: Civil Wars Battlefield Memorials 1642-1930. In: ARC Centre of Excellence for the History of the Emotions (UWA) Biennial Research Conferences, University of Adelaide, South Australia, (). 1-2 November 2012. MacKinnon, Dolly (2012). ‘Good God Mrs Nicolson’! : slaves and domestic disquiet in 18th–century Scotland. In: Discomfort Symposium, Brisbane QLD, Australia, (). 27 November 2012. MacKinnon, Dolly (2012). ‘If ever been where bells have knolled to church’: Parish bells, ritual, and social status in early modern England. In: Historicizing Performance in the Early Modern Period, University of Manchester, The John Rylands Library, Deansgate, Manchester, UK., (). 20 January 2012. MacKinnon, Dolly (2011). Post mortem of ‘A Perfect execution’: 19th century Prison & Asylum doctors in the Scottish Diaspora. In: Australian and New Zealand Society for the History of Medicine Conference, The University of Queensland, Brisbane, Australia, (). 12-15 July 2011. MacKinnon, Dolly (2011). ‘It will be enough, that hee lay his head upon an immortall Turff taken out of Naseby-field’: the landscape of memories and monuments to ‘14 June 1645’. In: Places of memory in medieval and early modern Europe, State Library of Victoria, Melbourne, Victoria, (). 30 September - 1 October 2011. MacKinnon, Dolly (2011). ‘[D]id ringe at oure parish churche... for joye that the Queene of Skotts ... was beheaded’: Public performances of early modern English emotions. In: “Emotions Conference”, Australian Centre of Excellence for the History of Emotions, University of Western Australia, Perth, Australia, (). 8-11 June 2011. MacKinnon, Dolly (2010). The 20th-century Mental Hospital: A place in history but not in the adaptive reuse of surviving built heritage environments. In: David Nichols, Anna Hurlimann, Clare Mouat and Stephen Pascoe, Green fields, brown fields, new fields: Proceedings of the 10th Australasian Urban History, Planning History Conference. 10th Australasian Urban History, Planning History Conference, Melbourne, Australia, (359-367). 7-10 February 2010. MacKinnon, Dolly (2011) Disability support in Australia. Australian Broadcasting Corporation, ABC Radio National. Dickinson, David , Hamilton, Vivienne and MacKinnon, Dolly (2009) My Heart's in the Highlands - The Folk Songs of Robert Burns. Australian Broadcasting Corporation, ABC Classics FM: Music Makers.